It is also known as low mobility grouting. Compaction grouting is a single-stage grouting with high strength mortar in to the ground to create a grout-bulb at the end of drill pipe. In this technique a very stiff homogeneous grout mix under relatively high-pressures is injected to densify loose sands for liquefaction mitigation. 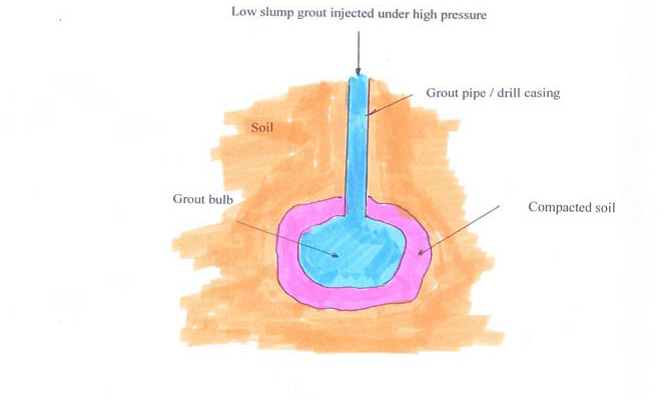 Displacement of the soil is produced by the weight of the overburden pushing back against the expanding grout bulb.